The Sahlgrenska Academy is the largest faculty at the University of Gothenburg. It is an international faculty. In many fields, research at the Academy is among the highest ranking internationally for example in pharmacology, obesity, children’s health, odontology and cardiovascular disease. The strategic work for internationalisation at the faculty is headed by the internationalisation committee. Each institute and programme has one teacher/coordinator in charge of the internationalisation process. The aim is to create numerous international possibilities for international development for students, teachers and researchers at the Academy. Health Sciences consist of medical, odontological and pharmaceutical science, as well as health care and public health, but the whole of this area is greater than the sum of its parts. Not only are the individual disciplines of interest, but also the opportunity to develop a new science characterized by depth and interdisciplinary synergy, which is unique to the Sahlgrenska Academy. 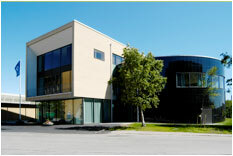 The Sahlgrenska Academy is the faculty of health sciences at the University of Gothenburg. Education and research are conducted within the fields of pharmacy, medicine, odontology and health care sciences. About 4000 undergraduate students and 1000 postgraduate students are enrolled at the Sahlgrenska Academy. Of the 1500 employees, 850 are researchers and/or lecturers. The Sahlgrenska Academy offers education at first, second and third cycle. The Sahlgrenska Academy at the University of Gothenburg has a unique breadth in health sciences, consisting of six institutes within medicine, odontology and health care sciences. The fact that these departments are in one and the same academy/faculty enables effective co-operation between different fields. Research at the Sahlgrenska Academy is among the highest ranking internationally especially in fields such as pharmacology, specialist dental care, obesity, paediatrics and cardiovascular disorders. The researchers at the Academy work closely with the Sahlgrenska University Hospital. The Sahlgrenska Academy covers an impressive range of research; basic studies of the structure of molecular structure and cellular functions, experimental studies of the principles of disease, public health sciences and epidemiology. This programme prepares the students to work as physicians and in medical research. In order to become a registered physician in Sweden, it is necessary to complete 18 months of general work experience after your Medical Degree as a junior physician in medicine, surgery, primary health care, and psychiatry. An examination covering the entire period of work experience must be passed before the student becomes a registered physician. A work permit is necessary for the period of work experience. Special requirements: upper secondary studies in Mathematics, Physics, Chemistry, Biology. After graduation follows periods of practical experience/internship of at least 18 months in order to become a registered physician. After having successfully completed the programme, the physician obtains his/her licence to practise (full registration), which is granted by the National Board of Health and Welfare. Admission every term (twice a year). During the 10th semester the students undertake an individual scientific work, a master´s thesis (30 ECTS credits). The main profile for this term is Global Health. The Degree project is included in the University Medical Degree (MD). The course gives the student experiences of science and research. The main purpose of the course is that the student should acquire an increased knowledge and an enhanced understanding of a medicinal area of special interest for the student ,and get training in how to critically examine, integrate, and present complex medical and scientific information orally and in writing. The Degree Project, which is the core of the course, can be an experimental, epidemiological/global health or clinical project or an analytical systematic review of the literature. thesis/examination. The subject for the Degree Project, and how it shall be performed, is decided in consultation between the student ant the tutor. A written agreement and a project plan are established. Learning is supported in individual tutorials and in group sessions throughout the course. The thesis is presented at a seminar with experts within the area of thesis. The student also provides an individual written project thesis. This thesis is then scrutinized and approved by an appointed examiner. In November 2010, University of Gothenburg launched a new project entited Go:India. Sahlgrenska Academy, through its Programme in Medicini/Global Health, is very much involved here. 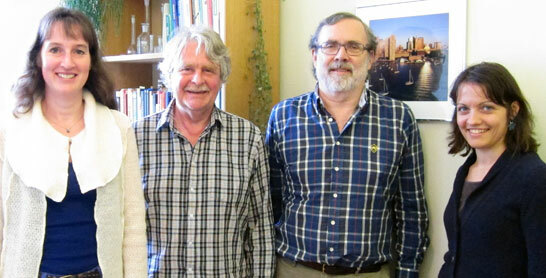 It is one of a number of new international projects at University of Gothenburg. They are part of a long-term ambition to create a profile such as ‘The Global University’ at University of Gothenburg (GU). This notion is based on the university’s action plan for internationalisation 2008-2012. This plan focuses on the development of exchange, at all levels, with universities in other countries where special attention should also be given to developing a long-term and sustainable strategic collaboration with partners in for example South Asia. The cooperation efforts should be clearly linked to values of international solidarity and global responsibility, and must be of a different character than traditional student mobility. More information on The Global University. Rune Andersson and Karin Dejke at the Go:India kick-off conference in Gothenburg. Go:India will be a three year project (2011 – 2013), intended to build a platform for co-operation within the areas of research, teaching and education between its Swedish partners, also involving researchers at the Faculty of Fine, Applied and Performing Arts (School of Photography, and the School of Design and Crafts); Faculty of Arts (Dept. of Literature, History of Ideas, and Religion); and the Faculty of Social Sciences (Dept. of Social Work), and their collaboration partner institutions in India. These are Banaras Hindu University (BHU) in Varanasi; Sarai/Centre for the Study of Developing Societies (CSDS) in Delhi; Gandhian Institute of Studies in Varanasi; Jadavpur University in Kolkata; Punjabi University in Patiala; Visva-Bharati University in Shantiniketan; Tata Institute of Social Sciences (TISS) in Mumbai; Srishti School of Art, Design and Technology in Bangalore; and Union Biblical Seminary in Pune. More information on the Go:India project web site. On 7–9 June 2011 the Go:India project arranged its first joint event in Gothenburg, a Kick-off conference where representatives from all the partner institutions met to discuss and plan the details of the planned activities for the coming three years, including, among other things, joint conferences, writing of joint research projects, teacher and student exchange. 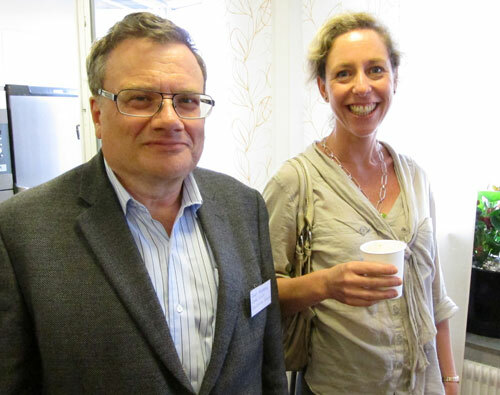 Lars Eklund, Anna Lindberg and Julia Velkova represented SASNET at the three-day meeting. See the programme for the meeting. See Lars Eklund’s photos from the first day. For several years the Faculty of Medicine at Gothenburg University has been involved in a Linnaeus-Palme International Exchange Programmewith the Tribhuvan University in Nepal, for students at the Medical doctors training programme. More information about the Linnaeus Palme programme, administered by the International Programme Office for Education and Training but financed by Sida. The collaboration project with Nepal was initiated by Professor Göran Bondjers (photo to the left), former Dean of the Faculty of Medicine. During the period 2006 – 2010, he was Vice Chancellor for the Nordic School of Public Health (NHV), also in Gothenburg, but he is now back at Sahlgrenska Academy. He is also senior scientific advisor at Global Health Europe, a not for profit group established to provide a platform for discussion of global health issues, based in Geneva, Switzerland. Since 2010, he also has an honorary professorship at Hanoi Medical University in Vietnam. From 2008 the Linnaeus Palme exchange programme between Sahlgrenska Academy and Tribhuvan University was coordinated by Associate Professor Göran Kurlberg at the Department of Surgery, Institute of Clinical Sciences, Sahlgrenska Academy. Dr. Kurlberg is assistant supervisor for PhD students and is working as a colorectal surgeon. He has previously conducted research work in the field of experimental small testine transplantation. He has a strong connection to Nepal, since he worked in the country during long periods in the 1980s and also later. Recently, in early 2008, he spent two months doing voluntary work for Skandinaviska Läkarbanken (funded by the Swedish NGO Erikshjälpen) at Tansen Mission Hospital in the mountains near Bhairawa. Read a report from his work in Nepal. 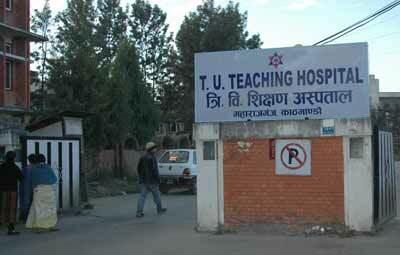 The Department of Surgery received grants from the Linnaeus palme Exchange Programme for the Tribhuvan University collaboration til 2010. In late March 2009, Dr. Kurlberg went to Nepal for a three-week stay along with Dr. Leif Dotevall, Department of Infection, Sahlgrenska Academy. The two spent the time teaching Nepalese students and discussing the programme activities with their Nepalese counterparts. A new application for Linnaeus Palme Exchange programme was approved for collaboration with the Patan Academy of Health Sciences in Nepal. It was first given support for the year 2011-12. The project has received continued funding for the period 2012-13 with SEK 40 000. More information about the South Asia related Linnaeus Palme projects for 2012-13. Prof. Jörgen Engel, Dept. of Pharmacology, Institute of Neuroscience and Physiology at the Sahlgrenska Academy at Göteborg University, has also been engaged in the programme on the Swedish side. Alexandra Krettek, first to the left, and Göran Bondjers, second from right, with Lars Eklund and Julia Velkova from SASNET, during a May 2011 meeting. Göran Bondjers and Göran Kurlberg are both members of a Nepal related international project initiated by University of Gothenburg in November 2010, as part of a long-term ambition to create a profile as ‘The Global University’, based on the university’s action plan for internationalisation 2008-2012. More information on The Global University. It is a collaboration project with three partner universities in Nepal – Kathmandu University, Tribhuvan University, and Patan Academy of Health Sciences. The project is entitled ”Collaboration between GU and Nepali Institutions: Strengthening Health Education, Supporting Research, Monitoring Health”. It extends the previous Linnaeus Palme exchange programme experiences with Tribhuvan University mentioned above, including additional Nepali institutions and programmes for both education and research. The research part is new. The exchange programme has also been extended to include administrative staff and PhD candidates. The project is headed by Associate Professor Alexandra Krettek, researcher at Sahlgrenska Academy and the Nordic School of Public Health (NHV) in Gothenburg. Other project members are Associate Professor Ulla-Britt Engelbrektsson and PhD candidate Susanne Åsman, Social Anthropology, School of Global Studies; Professor Emeritus Jan Bärmark, Dept. of Philosophy, Linguistics and Theory of Science; and until the end of 2011 – lecturer Jonas Öberg, Dept. of Applied IT. More information about the Nepal collaboration project. In May 2011, SASNET’s Lars Eklund and Julia Velkova visited NHV, and met with Alexandra Krettek and Göran Bondjers to discuss the Nepal project. Read a report from the meeting. The Department of Public Health and Community Medicine at the Institute of Medicine is involved in collaboration programmes with researchers and universities in Pakistan (Aga Khan University) and Sri Lanka. Professor Gunilla Krantzis responsible for these efforts. Read more on the separate page for her department.